ready to join us this summer? apply now for the July 20-28, 2019 Scroll Institute, focusing on theology and health and healing. 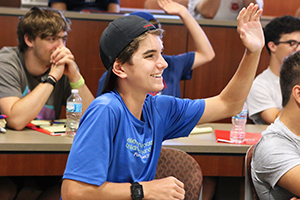 Scroll is a summer institute for 16-17 year-old young men (rising high school juniors and seniors) that aims to deepen their theological understanding and its applicability to issues of public importance and to their own future endeavors. Drawn from the image of Jesus unfurling the scroll of Isaiah in Luke 4, Scroll relies upon scripture and Christian theological traditions to encourage high school students to think deeply, critically, and theologically about vital matters in their lives and in the world around them. 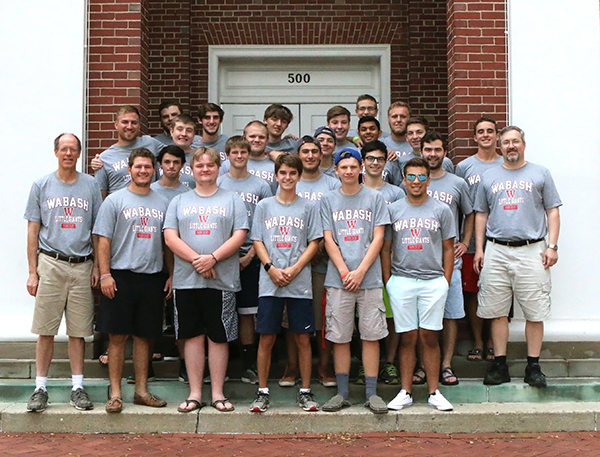 Scroll entails an intensive eight-day learning experience on the Wabash College campus. Classroom instruction led by seasoned faculty will be enhanced by expert visitors drawn from Wabash alumni, and field trip and community service experiences will provide tangible opportunities to see and put into practice what we are learning. Our third summer institute in July 2019 will focus on theology and health and healing. How do we think about health as Christians? How do we understand ourselves as embodied persons? And how do we promote healing? These are a few of the questions that will guide our inquiry and activities. 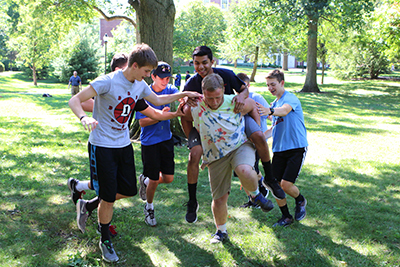 Applications: We welcome applications for the summer 2019 institute from young men across the denominational spectrum and with a variety of career aspirations. We anticipate that some students may be contemplating the ministry or a career in medicine, but others will be thinking of business, law, teaching, or any number of other callings. What is required is a desire to learn more about the Christian theological tradition and how it applies to important issues in our public and personal lives. Applications for the 2019 Institute (July 20-28) are open now. Cost: Through the generous support of the Lilly Endowment, there is no cost to attend Scroll. Expenses such as housing, food, books, and off-campus outings are paid for by the program. Additionally, in order to offset wages from summer jobs, each participating student will receive a stipend of $350. Our goal is that Scroll will lead a select group of young men to regard their faith traditions as rich deposits upon which they can draw as they aim to lead lives of purpose, meaning, and service to the church, their communities, and the larger society. Deadline extended-- Apply today for the july 2019 institute!